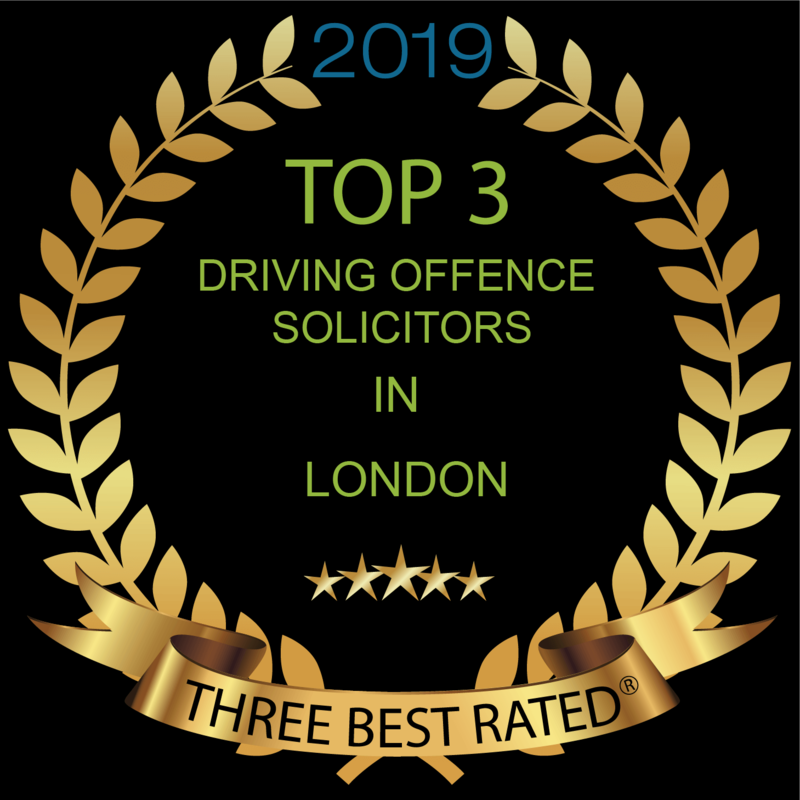 Established almost a decade ago, we are a fast-growing London law firm with expert drink driving solicitors and road traffic offence lawyers. We are committed to providing specialist defence representation and our drink driving solicitors have years of experience. We guarantee a highly-professional service and will help you through the criminal justice system. We will defend your rights vigorously, and pro-actively be keeping you informed every step of the way. Call us on 020 7837 3456 day or night. No matter your walk of life, anyone can find themselves charged with alcohol-related motoring offences. We have acted for teachers, medical professionals, police officers, bankers, business persons and even lawyers in the past. Our lawyers have specialist experience of successfully defending drink drive cases; avoiding mandatory points/disqualification being imposed on your license by successfully arguing “special reasons”; avoiding automatic disqualification by arguing “exceptional hardship” and reducing the length of a disqualification by ensuring that mitigation is fully presented to the court. For free initial advice from a specialist, solicitors call now on 02078373456. If you instruct BSB criminal solicitors to represent you, we will charge you fixed fees depending on the nature of your case and which we believe provide you with the best value around. We will aim to ensure that one solicitor represents you throughout your case and you will be provided with their mobile number and email address so you can contact them easily and quickly. Why is it important to seek representation? Convictions in drink drive cases usually lead to automatic disqualification from driving for at least 12 months and can be for far longer depending on the reading and/or whether there are aggravating features such as the manner of driving or whether an accident was involved. Depending on the seriousness of the case, and your driving record, you can be sent to prison although most first time offenders will receive a financial penalty. If you have 2 convictions for a drink-drive offence in a 10 year period, you will be disqualified from driving for at least 3 years and the possibility of receiving a custodial sentence increase. We recognize that a driving ban can mean that you are not able to continue with employment, drop your children off at school or transport elderly relatives to and from hospital appointments. A conviction for driving with excess alcohol and failing to provide a specimen will automatically result in a period of disqualification of at least 12 months, an endorsement on your licence and a punishment ranging from a fined to a period of imprisonment in more serious. A period of disqualification can have a huge impact on your life. A driving ban means that you may not be able to continue with employment, drop the kids off at school or transport elderly relatives. You may not be the only one affected. If you were not the driver of the vehicle or the police followed the correct procedure, you may have a plausible defence. If you are found to have been driving with a reading of more than 35 in the breath you are above the legal limit. You will normally be asked to provide two samples of breath in the police station and if your highest reading is 40 you will not be prosecuted. It used to be that if your breath reading was between 40 and 50, you would be offered the chance to provide a sample of blood or urine, however that is no longer the case. Many people are still over the legal limit to drive several hours after their last alcoholic drink. There are occasions where are though under the law you are guilty of drink driving the are ‘special reasons’ for not being disqualified from driving. Spiked drinks i.e. a friend had added alcohol to your drink so you did not know you were over the limit. Medication i.e. you were taking medication which affected the blood alcohol reading. If you try to argue any of these, you still need to plead guilty to driving with excess alcohol at the Magistrates’ Court, but we will then tell the court that you have special reasons for not disqualifying. The case will then be adjourned to another day for the court to hear evidence which we will need to gather to support your case. Sometimes this evidence will include medical reports or statements from witnesses that you wish to call. BSB solicitors appeared at court recently to argue that our client, a professional drove away from his office party not knowing that his high spirited colleagues had added a shot of vodka to his lager. Witnesses to his modest drink consumption coupled with the opinion of a forensic toxicology expert helped persuade the court that he should retain his license. Please contact us to discuss your case and we will advise on the basis of the circumstances whether you have a defence or a special reason for not disqualifying, and arrange representation at court. You are normally asked to provide a specimen of breath both at the side of the road and at the police station. If you refuse or fail to provide such a specimen, you are potentially guilty of an offence as serious as drink driving and carries the same level of disqualification as drink driving offences. It is crucial to note that the fact you were not driving does not mean that you can refuse to provide a sample of breath, nor does it matter if you weren’t over the limit. If the police have reasonable grounds to suspect that you were driving and you refuse, without good reason to provide a sample, you may be guilty of the offence. You have to be warned that failure to provide the sample is an offence, if the warning is not given this may be a bar to conviction – seek early legal advice. It is a defence to show that you had a reasonable excuse not to provide the sample. A medical reason such as asthma or a genuine needle phobia could constitute a reasonable excuse. If you were suspected of being in charge of a vehicle before failing to provide a sample rather than driving, the penalty is different. You may be disqualified, but if the court chose not to, they would impose ten penalty points. The maximum prison sentence for this offence is three months. This might mean that you have a defence to the charge and plead not guilty, but usually only if you can provide medical evidence to show that you had a condition that prevented you from providing an adequate specimen. Last year BSB successfully defended a client who was breathalyzer shortly after a motorbike accident. Medical evidence proving that he had ruptured his bladder was enough to persuade the court that he could not provide a specimen in the aftermath of such an accident. If the Police find you in or near your vehicle, over the legal limit to drive, but you were not actually driving, you can be arrested and charged with being drunk in charge of a vehicle. You can be found guilty if the court finds that there was a likelihood that you were to drive the vehicle. If you were not intending to drive the vehicle, for example, you were sleeping in the car or using the car as shelter, you may have a defence, however, it will be for you to prove to the court that it is more likely than not that you had no intention to drive. Being guilty drunk in charge does not lead to automatic 12 months disqualification ( although it can at the discretion of the magistrates), but still results in 10 points on your licence. BSB Solicitors recently successfully defended a client who had retreated to his car after a late night argument with her spouse. Our lawyer persuaded the court to accept that having drunk several glasses of wine, she sat in her car for a few hours without any intention to drive it. We will provide representation at the police station and in the magistrate’s court. We will if need be instruct experts who we have a successful track record of working with. Legal aid is not available for minor road traffic offences, it can sometimes be claimed subject to means testing in more serious cases of driving with excess alcohol. At BSB we offer a competitive fixed fee structure depending upon the complexity of the matter. We will give you an outline of the likely fees from the outset and advise as to the likelihood of success before charging the full amount. For more information, please contact Jonathan Black. I cannot recommend the services of Jim Skelsey and BSB Solicitors enough. Even though my situation seemed extremely dire, Jim was able to deliver the best possible result in a very short space of time.